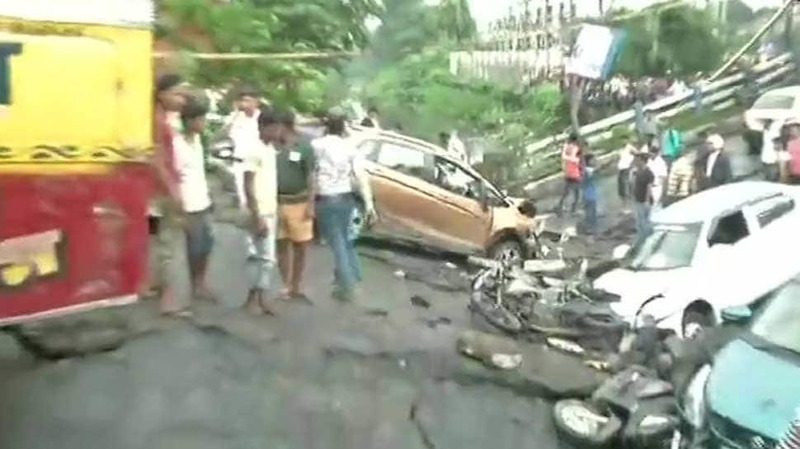 A flyover collapsed in Majerhat area of south Kolkata in West Bengal on Tuesday. Several people are feared trapped while many who got injured have been rushed to a nearby hospital. At least 10 fire tenders and ambulances were rushed to the spot. 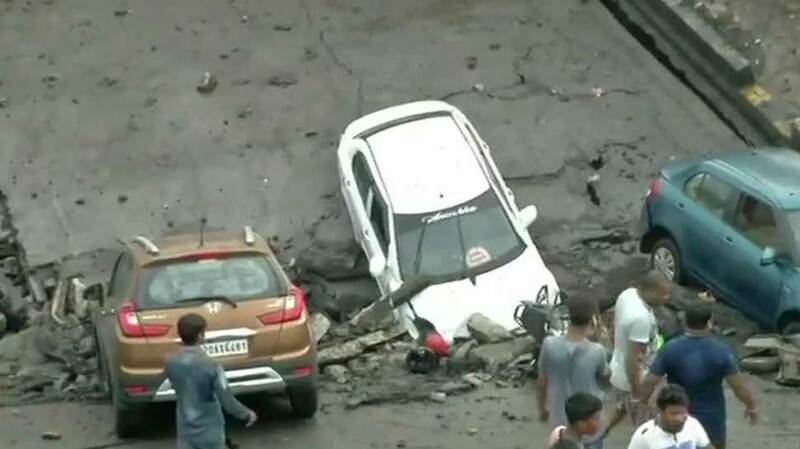 Many vehicles got trapped as the flyover collapsed. Several casualties are also feared. Relief and rescue operations have begun. 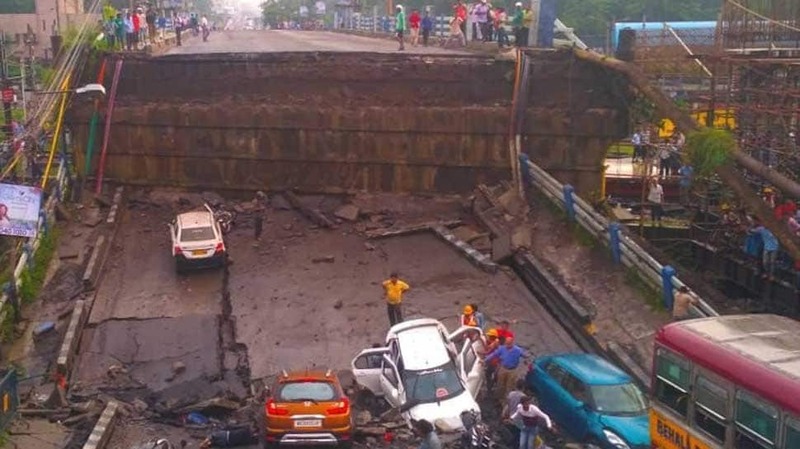 The Majerhat bridge reportedly collapsed at 4.45 pm. At least 10 fire tenders and ambulances were rushed to the spot. 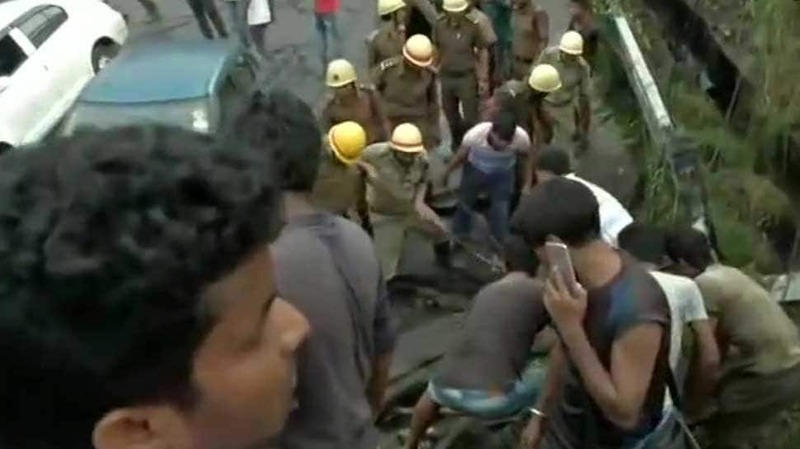 West Bengal Minister Firhad Hakim, who rushed to the spot soon after the bridge collapse, said that all those who were trapped have been rescued. It was a 40-year-old bridge. 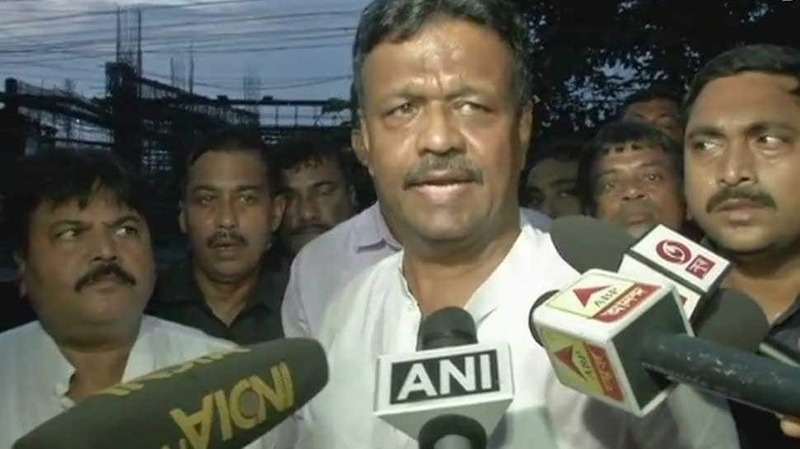 As of now there has been no casualty, but search operations are underway, let us wait: Firhad Hakim, West Bengal Minister said on Majerhat bridge collapse. 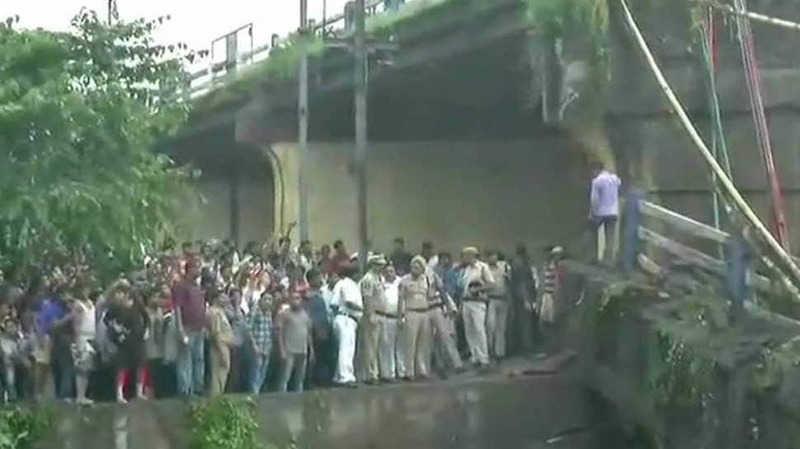 According to eyewitnesses, several people on motorbikes also got trapped under the flyover. They said that electricity went off in the area as the flyover collapsed. An eyewitness claimed that he managed to rescue one person, but he succumbed to his injuries on the way to hospital. 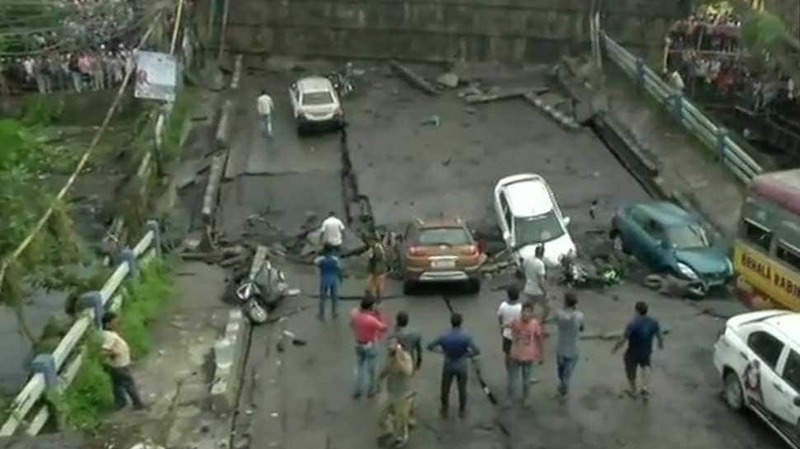 Some more spot visuals from the Majerhat flyover collapse site in South Kolkata in West Bengal. The area has been cordoned off as the rescue operations began. At least 10 fire tenders and ambulances were rushed to the spot immediately. Teams of NDRF and local police are conducting the rescue operation at the collapse site. The Indian Army clarified that its personnel have not been called in yet but since the area is very close, Army field hospital detachment has been sent. 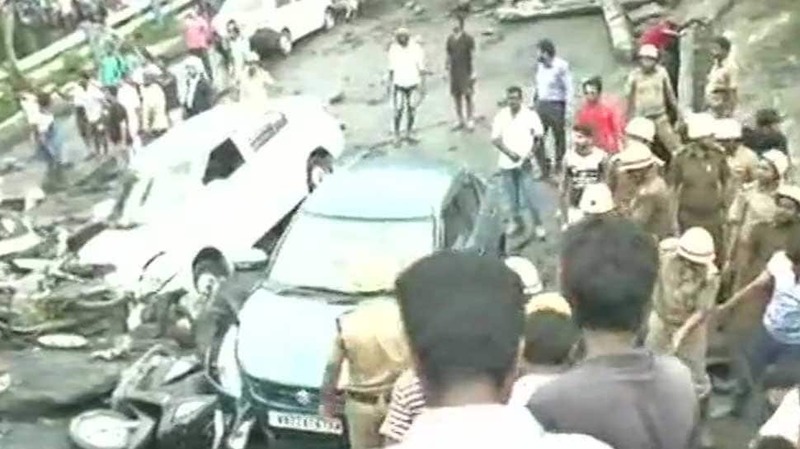 Eyewitnesses claim that at least five people are dead in the Majerhaat flyover collapse.